This simple to use cost effective tracking solution is suited for small to large sized companies, as well as personal/consumer applications. The F- TRK unit is very easy to install and can be situated in discrete in-vehicle locations. This device can be installed for stand-alone operation or connecting to an aftermarket remote starter, the device can start your vehicle, report attempted theft, unlock doors/trunks etc. The T2C-OBD is a "Plug & Go" unit operates with most makes and models of passenger vehicles and light duty trucks. Easy to install by simply plugging the device into the OBD2 diagnostic connector (typically located at the bottom end of a steering column) eliminating the need for professional installation and is easily vehicle transferable. The device includes battery back-up to provide assured communications and status notification in the case of power interruption (unplugged). The T2C-XB includes an extended battery back-up providing up to 6 months of non-powered operation. This device is a fully-sealed trailer tracking product designed for reliable, multi-year deployments. The T2C-XB is an ideal solution for managing assets that are normally tethered to 12 or 24 volt systems but may sit idle for extended periods. This device is also an excellent solution for remote asset monitoring and theft recovery of motorcycles, snowmobiles and other outdoor recreational vehicles. The AT-AA is a battery operated asset location/tracking product designed for reliable, multi-year deployments. The AT-AA is an ideal solution for managing assets the will be deployed for long periods of up to 2 years without maintenance needs. 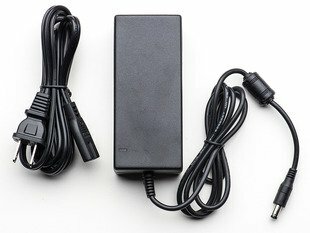 This device also works well for shorter-term applications for time/event-driven tracking independent of using a vehicle's/asset's battery power source. Motion detection is an available feature to provide notification of asset motion but while in a stationary position. 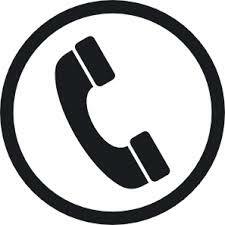 iButton can be used to provide access control, data collection or authorization. The readers are panel mounted probes pre-wired for easy installation. Plastic Fobs for iButton reader and allows you to hang them on hooks, carry them on key chains, and easily hold them to insert into the readers. The iButton combination of a reader and fob can be configured for a multitude of applications such as: on site arrival notification, man down alert, event or POI creation, and much more. This product is a Y splitter for a J1962 OBD vehicle adaptor. This cable can be used to connect 2 OBD tools to one vehicle at the same time. Leaving a port open for a technician to preform vehicle diagnostics. Also, allows the Text2Car device to be placed discretely behind the dash. This dash mounted switch allows a momentary connection to be made when pressed. Connected to an input from the Text2Car device, this option can be utilized in many different ways: send a notification, create an event or POI, etc. This sensor is essentially a reed switch, normally the reed is 'open' (no connection between the two wires). The other half is a magnet. When the magnet is less than 13mm (0.5") away, the reed switch closes. They're often used to detect when a door or drawer is open, which is why they have mounting tabs and screws. Units include double-sided foam tape or can be screw-mounted. 6.63x4.68x2.37 inch flame retardant polycarbonate case. Sealed with a silicone rubber gasket for dust and IP67 moisture resistance. Case does not interfere with Cellular or GPS communications and can be painted with non-metallic paint for discrete mounting purposes. Supply 12V DC up to 5 Amps, running from 110V or 220V power. The output connects to a 2.1mm DC plug or may be cut for direct-soldered applications. There's a green indicator light to let you know its working. UL approved! 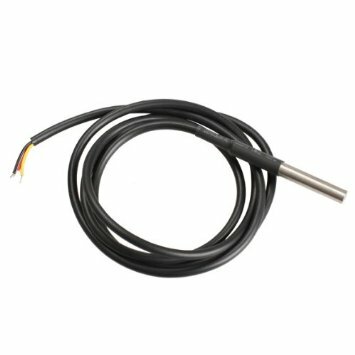 Temperature sensor designed for use in wet conditions. Each temperature sensor has a unique code, which allows multiple sensors to function on the same connection. Thus, providing the monitoring of several sensors distributed over a large area. Applications that can benefit from this feature include: Grain storage, holding tanks, HVAC environmental controls, temperature monitoring systems inside buildings, equipment, or machinery, and process monitoring and control systems. The unit has an operating temperature range of -55°C to +125°C and is accurate to +/-0.5°C over the range of -10°C to +85°C. In addition, the unit can derive power directly from the data line ("parasite power"), eliminating the need for an external power supply in most applications.